Our image synthesis classes won't start before some weeks and I wanted to give it a try. My portfolio doesn't include a single 3D app since I found my way only recently. 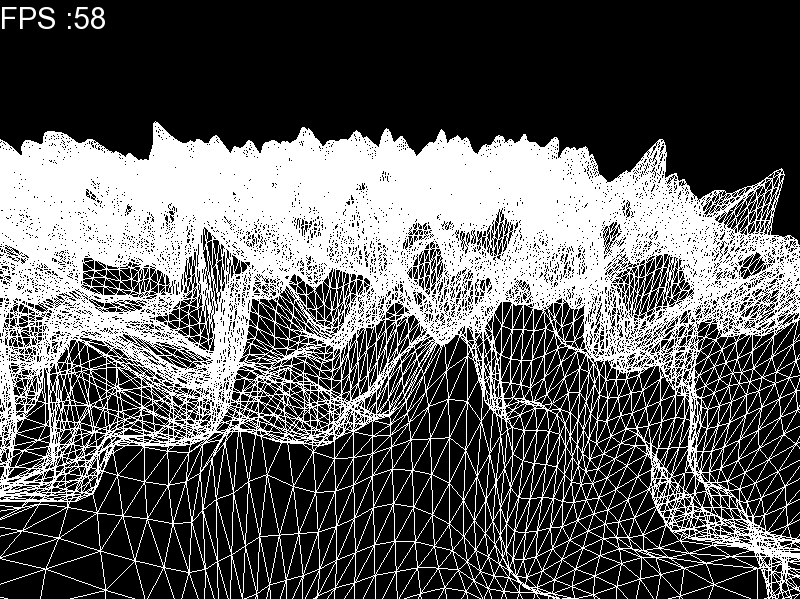 I'd like to find an internship in graphics programming, in another country, i.e. in the next two months (see previous point). A month ago, I developed a first version of this small application. I used the SFML - after recompiling it - to create the window and an OpenGL context. 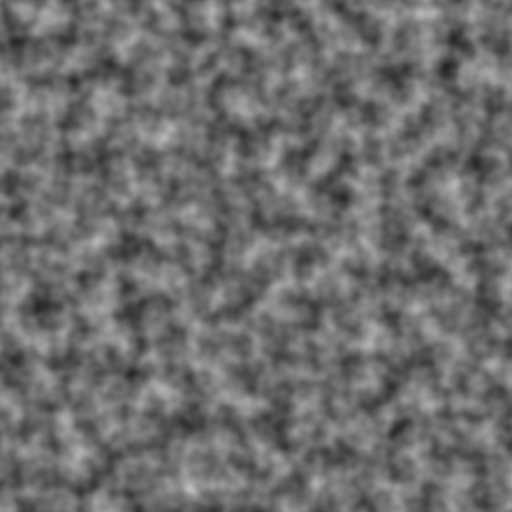 Then I implemented heightmap generation by "stacking" several layers of Perlin Noise, fractal-style (looks like it's called a "fBm", but I wouldn't venture into defining a term I don't fully grasp yet). 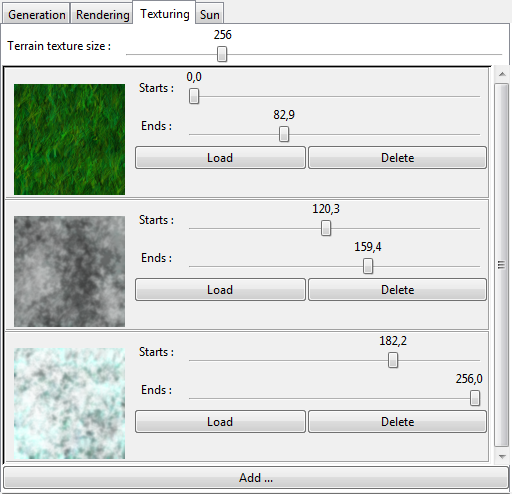 Finally, using this tutorial (in French) as a basis, I generated a texture from three input images (grass / rock / snow), blended according to elevation. 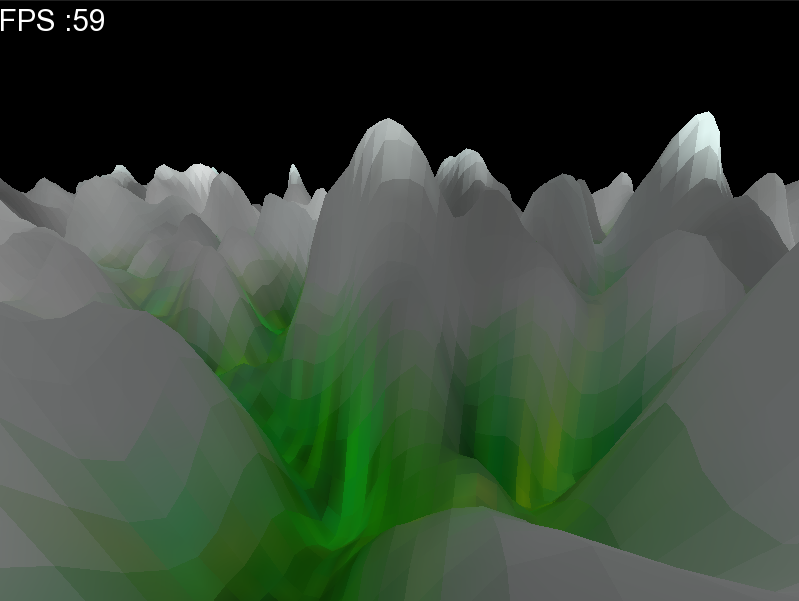 ...until it turned out that there was no way to create an OpenGL context without making the widgets disappear. I tried using the SFML (using this code), and not using it, no way: the context always seems to take hold of the whole window, instead of just its part. After a whole day trying to fix this, I had to resolve to a simple, hacky solution: two windows. I won't explain every single button or slider here, that would take a while ;) I'll make the app available, with a readme. I'll also make the sources available even if they're not very interesting (verbose GUI code). The nuts and bolts of this program are gtkmm for the GUI, SFML for the OpenGL context, two simple shaders, and a VBO (after someone told me displayLists were a bit outdated :D). EDIT: You can read more about this and find the files here.